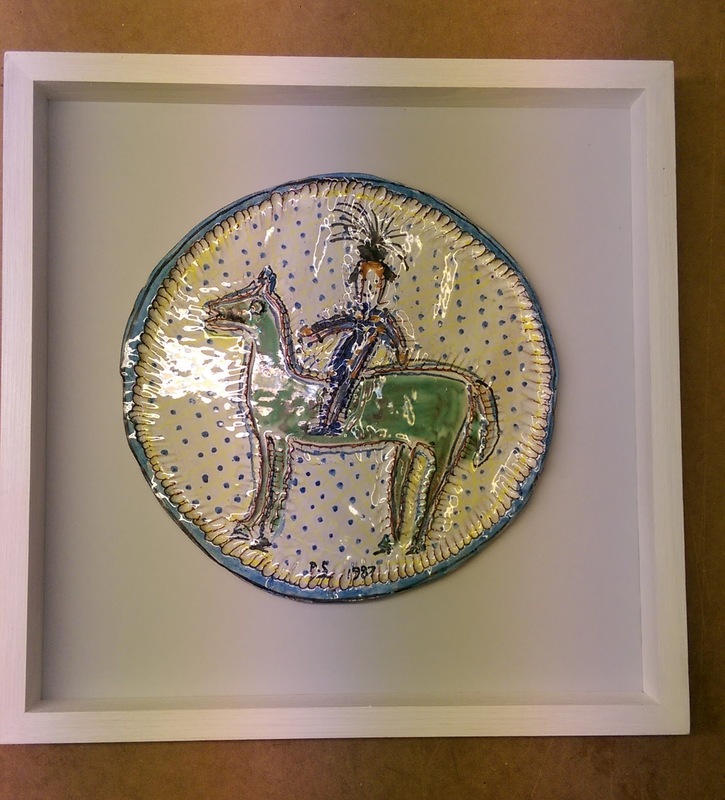 After that lovely interruption from ‘Teddy’ we had this exquisite ceramic circle to frame It is heavy. The problem is to secure it. We have used an impact glue. The frame is English ash with a pale cream finish.